One of Southern Living's "25 Beach Reads Perfect for Summer"
The only thing certain is change-even in a place as steady as Perry, Alabama, on a street as old as Glory Road. 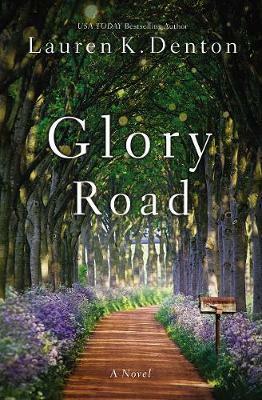 Nearly a decade after her husband's affair drove her back home to South Alabama, Jessie McBride has the stable life she wants-operating her garden shop, Twig, next door to her house on Glory Road, and keeping up with her teenage daughter and spunky mother. But the unexpected arrival of two men makes Jessie question whether she's really happy with the status quo. Meanwhile, Jessie's fourteen-year-old daughter, Evan, is approaching the start of high school and navigating a new world of emotions-particularly as they relate to the cute new guy who's moved in just down the road. At the same time, Jessie's mother, Gus, is suffering increasingly frequent memory lapses and faces a frightening, uncertain future. LAUREN K. DENTON is the author of USA TODAY bestselling novels The Hideaway and Hurricane Season. She was born and raised in Mobile, Alabama, and now lives with her husband and two daughters in Homewood, just outside Birmingham. Though her husband tries valiantly to turn her into a mountain girl, she'd still rather be at the beach. Website: LaurenKDenton.com; Instagram: LaurenKDentonBooks; Facebook: LaurenKDentonAuthor; Twitter: @LaurenKDenton.